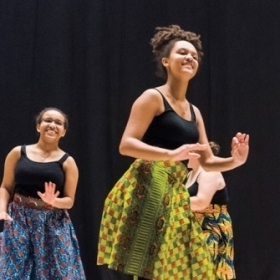 The African Women’s Leadership Conference at the College in March focused on how African women leaders are transforming communities and nations and was intended to allow the next generation of leaders studying in the U.S. to meet and exchange ideas. Johnson was on campus in March for the African Women’s Leadership Conference, sponsored by the College and the Mastercard Foundation. The gathering focused on how African women leaders are transforming communities and nations and was intended to allow the next generation of leaders studying in the U.S. to meet and exchange ideas. Speakers included Kakenya Ntaiya, a Maasi educator who is combatting female genital mutilation; Agnes Binagwaho, the former Rwandan health minister; and Mfoniso Udofia ’06, a Nigerian-American playwright. The Mastercard Scholars Program supports the education of academically talented students from economically disadvantaged communities in Africa at colleges and universities around the world. To view conference sessions, visit Wellesley’s YouTube channel, here. 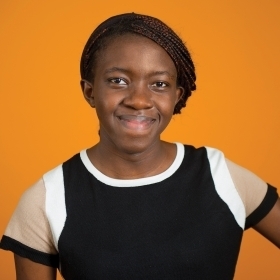 See the profile of Mastercard Scholar Sarah Nzau ’18 here.